Google’s latest update “Penguin” affected millions of sites. Top Marketing Agency has found that by using specific SEO principals, our customers are experiencing sustained traffic and leads. We utilize “Best Practice SEO” and our team is dedicated to maintaining the latest search engine algorithm changes. Search Engine Optimization is an ever-evolving process, and SEO Services constantly change to keep up. Optimization Methodology is three-fold. It embraces SEO, content marketing and social media in one package that offers the best solutions to create a strong online presence. 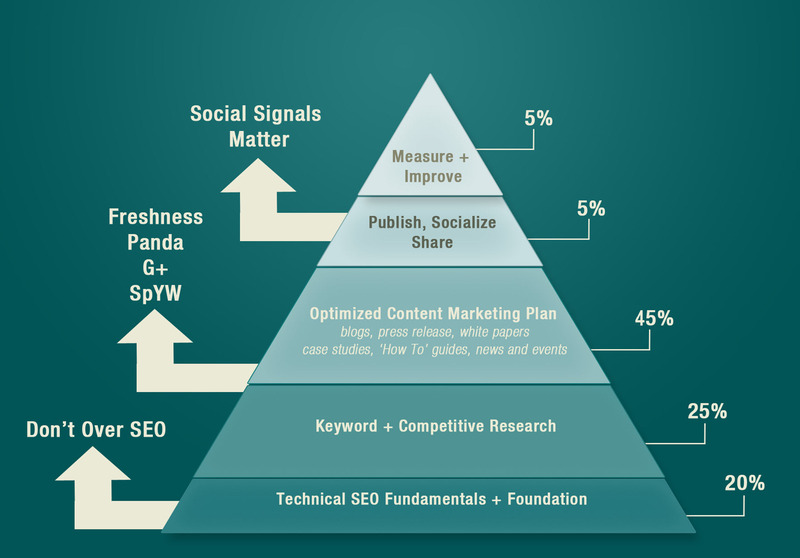 The foundation of the web optimization plan is technical SEO which encompasses approximately 20 percent of the campaign. The second step is keyword and competition research. Strong, effective keywords are necessary before you can create and effectively market optimized content. Content creation and marketing are next. The changes after Google Panda and Penguin demand fresh, relevant content, including: blogs, white papers, case studies, press releases and more. Advertising on social media remains a small portion of the overall plan, but is still critical. We will maintain all aspects of this hierarchy for your online site and when Google institutes an algorithm change, we will protect you. We will help you measure your success and make necessary improvements. Your website’s success is our goal. Contact us now at (888) 843-9840. We look forward to working with you.